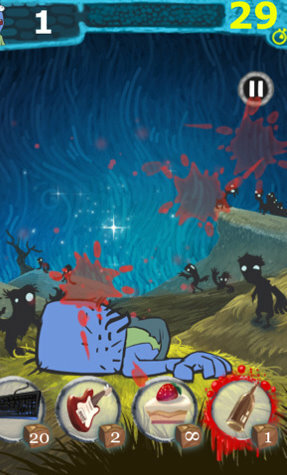 We’re very excited about our latest iPhone game, Talking Zombies, and we’re not the only ones. 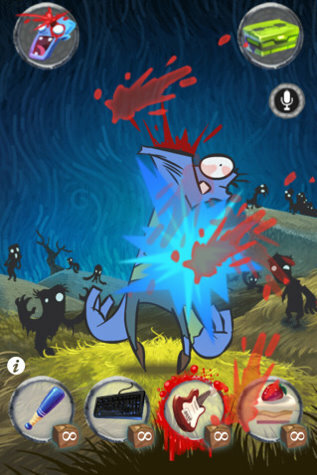 Apple is currently featuring Talking Zombies as the #1 New and Noteworthy iPhone app in the Entertainment section of their App Store. As you might expect from the name, the zombie will repeat whatever you say in a sinister, ghoulish voice. 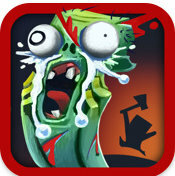 And the fun doesn’t stop there because you can interact with the zombie in a variety of ways. And that’s not all! Talking Zombies also includes a game mode in which you fight with the zombie, choosing from a selection of 21 different weapons. You can gain weapons for free by amassing Zombie Points or if you’re in a hurry to do some damage, you can buy points. I can’t wait to attack the zombie with an electric guitar! Talking Zombies is free to download and play and it’s compatible with the iPod Touch and the iPad as well as the iPhone. Check it out here (link is to the HK iTunes store) and let us know what you think!